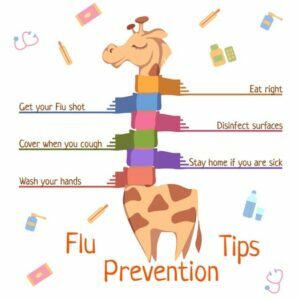 It’s Flu Season: 5 Ways to Protect Your Family! The season of germs is here! As this crazy weather keeps changing you and your family are at risk to get flu. Prevention is always to the key! As a person who worked in the health care field for 10 plus years making sure you have the flu shot is one way to help lessen the effects of flu. It does not mean you wont get the flu! Local health departments provide special free or low cost clinics for those who are more at risk to getting the flu (children and elderly). But we are all at risk during this season. Check out the local health department in your area. My local health department in Hampton Roads. Kids always have their hands in their face or in someone else’s face. Parents are children’s first line of defense in teaching them how to keep their hands clean. 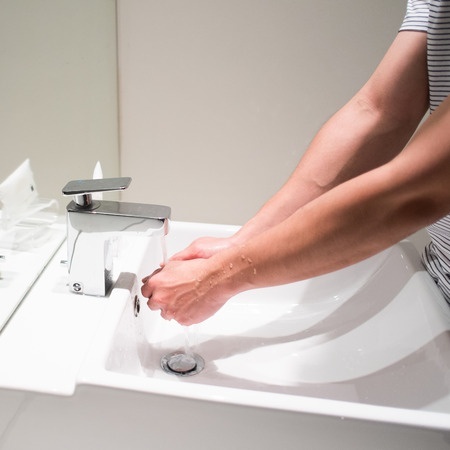 Educate your family on the importance of hand washing! This is okay when you want to barricade your self in your home but you need to live right? To those who are sick, stay home if you can. This will help stop the spread of disease. Remember sharing is not caring!!! Bottom line: if you are a healthy person by eating right, getting enough sleep and establishing good habits overall you are on the right path to keeping healthy. Cover your cough- Just like washing your hands. This is equally important. Teach your kids ways to cover their cough. Kids today have to use the Sleeve in the elbow technique. Click here: For more information about the Flu season and prevention. As parents, we are our families first line of defense against getting any types of communicable disease. Using these tips will help you and your family stays safe during every season. Made Big Mistakes in 2018? Reflect to Learn! !